I’m skipping day 29 on the schedule. I messed up and put 31 prompts in a 30 day month. So I’m doing 30 and 31 instead of 29 and 30. 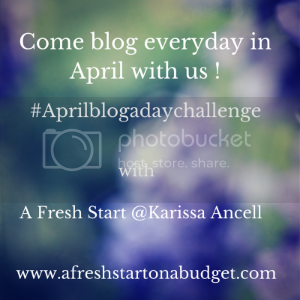 So we all mistakes sometimes but I wanted to keep up with the blog challenge so today we are doing the prompt something I’ve learned recently. So lately I have been not necessarily learning but relearning how to take care of a puppy and all the work that goes along with having a puppy. We got our first dog 11 years ago so it has been a long time since we have had a puppy. Now we have an almost 12 week old little guy named Groot, yes named after the Tree from Guardians of the Galaxy. He’s a puggle and our little man. So take a look at him, he’s worth all the work. Oh my goodness, your Groot is so adorable! We haven’t had a puppy in quite a few years, but we got a 2 yr old dog from the pound back in Nov so we’re on a learning curve as well! Have fun with the new addition! Thanks most of the time he’s an angel but he’s a puppy so he has his trouble making moments. Our family is at the beginning stages of thinking about a new puppy. I know they are a ton of work! Your’s is too cute! Awwww so cute. Reminds me of Tink was she was a pup. Shes Chihuahua/Pug mix and she looked just like that when she little. Just a bit thinner muzzle. Aww so cute! My boys would love to have a puppy but my husband is allergic. Thanks, it’s too bad your husband is allergic.